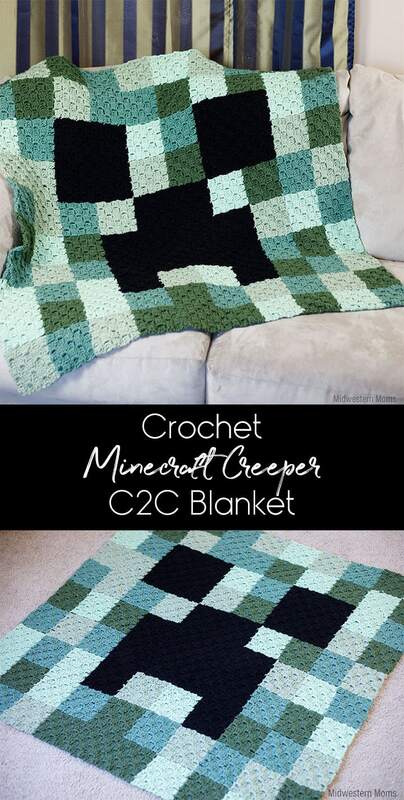 What is one blanket that will make any Minecrafter yell “YeSSSSSSSS.”? 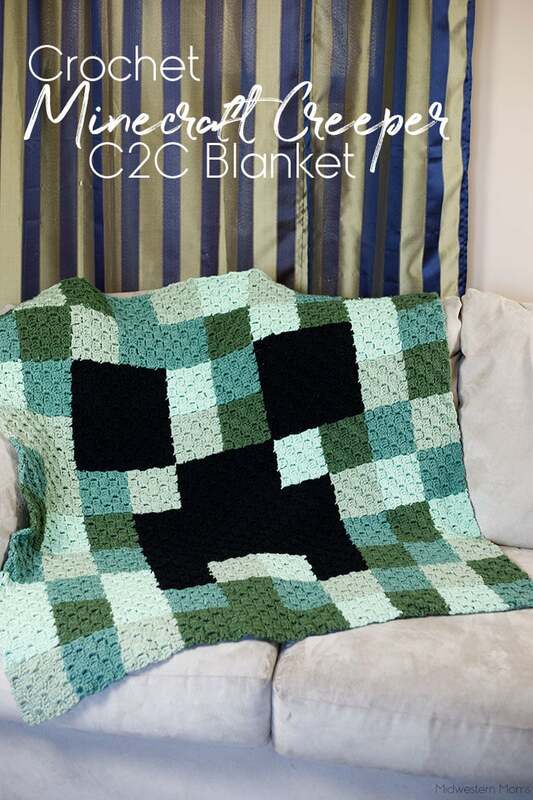 A Minecraft Creeper blanket, of course. My boys are obsessed with Minecraft. If I let them, they would play all day long and never get bored with it. After learning how to crochet corner to corner, I knew a Creeper themed blanket is the perfect pattern for this technique. This lapghan ended up measuring roughly 40 inches by 40 inches which makes it perfect for snuggling under while building worlds in Minecraft. Check out my tutorial on how to crochet corner to corner. This crochet corner to corner pattern uses traditional double crochet stitches. The pattern is “written” in graph form and you work in a diagonal starting in one corner. Each block on the graph is one square on the blanket. 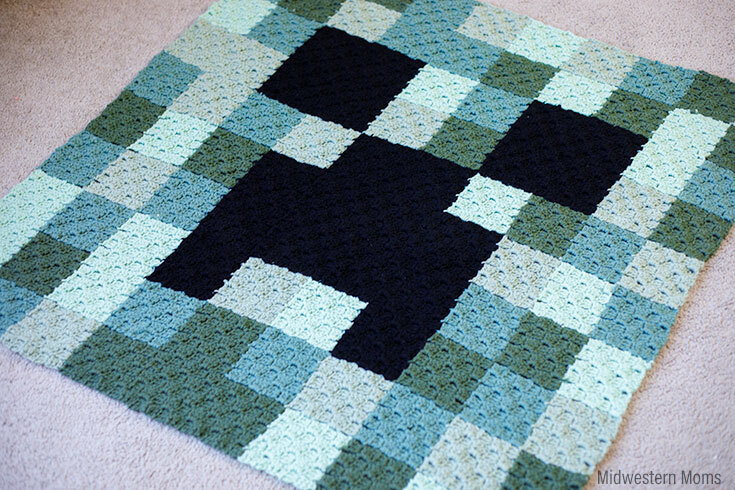 Enter your info in the form below to get a printable Minecraft Creeper blanket pattern. It will be sent directly to your email shortly.